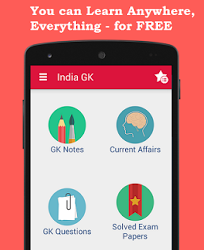 2nd December 2017 Current Affairs MCQs, Quiz, Questions: Current Affairs for December 2017, Daily Multiple Choice Questions (MCQs) for India GK, World GK and current affairs with Collection of daily objective type Question by www.Indiagk.net based on General Knowledge (GK) and General Science (GS) Questions for UPSC, State PSC, SSC, Police exam, Railway exam, SBI, Bank PO, IBPC, SSC, LDC, UDC, Army, Airforce, Navy, Coast Guard, Bank Clerk, TET and all entrance examination with current affairs News, Multiple Choice Questions (MCQs) available on Website www.IndiaGK.net and Android Apps with daily updates:. Dia Mirza has been appointed as the Goodwill Ambassador of ----- ? The 18th Hornbill festival 2017 has started in which state? India has recently signed a naval pact with which country? Who has been conferred with the Best Boxer title at the 2017 AIBA World Youth Women’s Boxing Championship held in Guwahati?